A CHUNKY part of the fascination surrounding Pat Gilroy’s appointment as Dublin hurling manager surrounded who he could bring into the squad. The footballers? The Cuala lads? The ‘disappeared’ Dublin hurlers who faded from view but not mind during Ger Cunningham’s divisive reign? “You’re back to a blank sheet of paper,” he says now, already casting his mind forwards to his second season in charge and any further potential recruits.And you’d hope to get the best players playing for Dublin. As it happened, just four of Cuala’s players came in after their All-Ireland club win and Gilroy admits: “There’s still three or four more of them that we’d be delighted to have. And we won’t be leaving any stone unturned to get them – and others. “We talked to other people who couldn’t commit this year for whatever reason. Conal Keaney will be 36 in September but had an outstanding performance against Kilkenny in Dublin’s Leinster SHC opener and according to Gilroy, has already indicated his intentions to go again next year. "He's keen to progress. The shape he's in, why would you stop?" Ryan O’Dwyer is considering his next move, he added, but otherwise it appeared as though everyone who made themselves available this year will do so again in 2019. Injuries meanwhile, deprived Gilroy of Donal Burke for the summer and Eamonn Dillon for all but the second half of last Saturday’s defeat to Galway. “Eamonn (right) was just so unlucky with injuries this year, you couldn’t make it up,” he explained. “It was the first time I saw an injury that actually got worse when he was doing nothing. And it was one of those … it was a freak injury that just got bigger and bigger. “Eventually he just had to take time off work to get back. But he still wasn’t back right. Fitness-wise, he just wasn’t at the level. 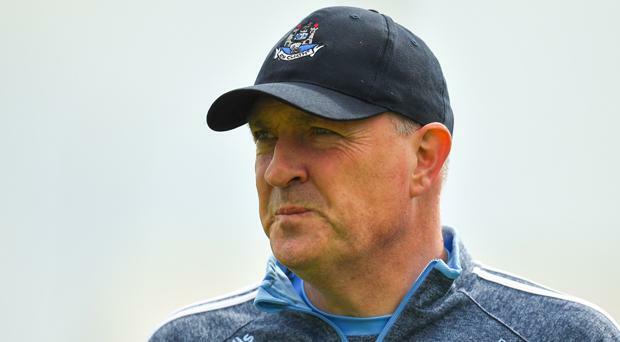 The early and condensed nature of this year’s provincial championship means a long off-season now for Dublin but Gilroy outlined how they might be able to use the time beneficially. “There are some lads, for instance, to who would benefit hugely from strength and conditioning work between now and when the club championship starts,” he explained. And despite the season finishing before mid-June, Gilroy relays a message of increasing positivity within the Dublin squad. “There’s a mood around the group where we feel like we’re only getting going around now,” he points out. “And that we’re only starting to gel as a group and yet the year is over. “Like, the Cuala lads have only been with us for six weeks and that feels like a very short time for them.